The Art Gallery of New South Wales is delighted to announce young Australian artist Clara Adolphs is the recipient of the 2017 Eva Breuer Travelling Art Scholarship. The Breuer Foundation established the scholarship two years ago, in collaboration with the Art Gallery of NSW, to support young Australian female artists for the purpose of travel to and study in Paris. The scholarship commemorates the late Eva Breuer, one of Australia’s most loved and prolific art dealers who made a significant contribution to Australian art for over three decades. As the recipient of the 2017 Eva Breuer Travelling Art Scholarship, Adolphs will take up a three-month residency at the Dr Denise Hickey Memorial Studio in Paris. The scholarship awards Adolphs a $25,000 stipend for living and travel expenses associated with the residency. Based in Bundanoon in NSW, Adolphs collects old photographs as inspiration for her paintings that explore notions of memory and time. The pastel tones and impasto surfaces of Adolphs’s works re-interpret abandoned memories, imbuing them with fresh narratives and context. Adolphs’s portrait of actor and musician Terry Serio was a finalist in the 2016 Archibald Prize and she has also been a finalist for the Brett Whiteley Travelling Art Scholarship in 2016, 2015, 2013 and 2012. The Paris residency will present Adolphs the opportunity to embark on a new and ambitious body of work while closely observing the techniques of some of the most celebrated masterpieces in the world. “My plan for Paris is to create larger and more immersive scenes in painting. Up until this point I have worked at a relatively small scale and this residency will be the impetus to change that while immersed in the finest works throughout history,” Adolphs said. “The Eva Breuer Travelling Art Scholarship will also provide unique opportunities to research anonymous photography which is the current foundation of my work. Located in Paris is the Galerie Lumière des Roses which is dedicated to anonymous amateur photography – this will be top of my list to spend time at during the residency,” Adolphs added. Victoria Collings, the Gallery’s community engagement manager and member of the scholarship judging panel, said international residencies nurture the creative talents of artists and the Eva Breuer Travelling Art Scholarship is a generous example of this. “The Gallery is thrilled to partner with the Breuer Foundation in offering this brilliant scholarship to young female Australian artists,” Collings said. “Clara Adolphs’s application conveyed clearly how rewarding the Paris residency would be for her practice. The judges were impressed by her work and career to date and anticipate that her time at the studio will be transformative,” Collings added. The announcement of the Eva Breuer Travelling Art Scholarship is made each year at a special event at the Gallery that brings together the family and close friends of Eva Breuer, in remembrance – and celebration – of her life. The recipient of the scholarship is chosen from one of the winners of the Art Gallery of New South Wales’ existing residency scholarships that are awarded to up to ten Australian artists each year. 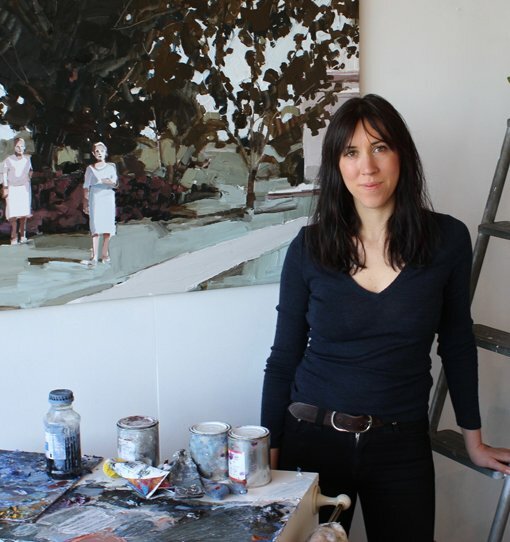 Recipients of the scholarships stay at one of two of the Art Gallery of NSW’s studios at the Cité Internationale des Arts in Paris – either two months at the Moya Dyring Memorial Studio or three months at the Dr Denise Hickey Memorial Studio. The Eva Breuer Scholarship provides the winning artist, a female under the age of 35, a $25,000 stipend for travel and living expenses associated with their residency scholarship. The scholarship is initially offered for three years from 2015 to 2017.